Bathroom remodeling projects often bring up a lot of questions. Many decisions need to be made on the way to the finished project. These questions and answers are for some of our most frequently asked bathroom remodeling questions. If we haven’t covered your bathroom remodel question, please contact us. 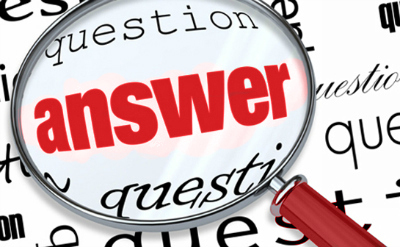 Please Click Here For Kitchen Remodeling FAQs. Where do we start with planning my bathroom remodel? The process begins with the design phase where we will get to know your wishes and overall home style. Then we will help you navigate through the many details involved with updating your bathroom’s floor plan, cabinet style, counter options, tile flooring options, lighting ideas and much more. We are an Authorized Dealer of WayPoint Living Spaces and Mid Continent Cabinetry. It will depend on the complexity of the project. Reconfiguring the floor plan for bathroom remodeling or deciding on structural changes will take longer. Usually, it will take two to four weeks. A complex bathroom remodeling project could take up to six weeks. The details of your design and the availability of materials and fixtures will determine how long your project will take. Most bathroom remodels include removing the tub and/or shower as well as replacing the toilet, vanity and flooring. If the bathroom remodel is more extensive, the entire room may be rearranged and/or enlarged involving concrete floor cutting, removing and rearranging walls and the ceiling. How difficult is it to remove a soaking tub from a master bathroom? Most of the homes we visit have soaking tubs that look like new because they are seldom used. We’ve found that removing the tub during bathroom remodeling creates space for an enlarged shower with room for a larger vanity or seating area. Our experience is that the upgraded shower appeals to many more homeowners than the traditional, yet seldom used the soaking tub. What are our options if we cannot remove the tub? Refinishing a tub or even a shower is a great alternative. If it is in fairly good condition, refinishing can add years of use and brighten up your bathroom. Can we hang a chandelier over my tub? A chandelier can be a beautiful addition over a large tub. It requires a high ceiling to comply with the eight-foot clearance required by building code. Is it possible to add an open shower or snail shower to my bathroom? Open or snail showers require a large bathroom to accommodate their size. If you have the room, we can work with you to design your shower in the new bathroom floor plan. Many homes do not offer the space for these extra large showers. These smaller bathrooms can still have larger showers than the original. Today’s frameless glass shower enclosures have the added benefit of making any shower feel larger as a result of their open feel. What type of tile is available for use in my remodeled bathroom? There are three major types of tile used for modern bathrooms. Travertine is the most popular stone tile. There are also numerous other stone tiles for a variety of different looks. Stone will require periodical sealing to maintain its finish. Porcelain tile is very popular for its look, durability, and low maintenance. It can have a wide range of appearance including the good looks of stone or the variety of more modern style. Ceramic tile is still very popular for more traditional bathrooms. It can also be used in more modern design bathroom remodeling projects because of its unique shapes and sizes. Can my bathroom tile be preserved during a bathroom remodel? In most cases we do not have a problem saving the existing tile unless we are rearranging the bathroom. If you have any extra tile, we can add them in areas if needed. In situations where the tile from other rooms flows into the bathroom, it is desirable to preserve the flooring if possible. Do you recommend installing an exhaust fan? Yes, because humidity build-up will damage your fixtures, cabinets, and paint. We suggest installing a timer switch so you do not forget to turn it off, thus wasting money on electricity. What is the funky smell coming from my shower? Funky odors are a sign that a water leak may be causing a mold problem. If that is the case, the only way to fix it is to tear out and replace the shower. Do NOT do this yourself. There are health risks involved. Hire a licensed professional. Other funky odors can be removed by installing an exhaust fan.